The last couple days have been wet and dreary. Even though the weather had warmed up a bit last week, it was really short lived and is currently just above freezing. Us southern Californians aren’t used to that because usually when it warms up it stays that way for a while. As I walked to Titus’ school this afternoon to pick him up I took the above photo to give a little bit of an idea of how it looked pretty much all day. The rain is like an all-day light mist and everything just kind of stays gray. As I approached Titus’ preschool today I realized just how funny the entrance is (shown above from the photo I took today). After you walk through the gate and up the path you come to a large door that for an American is something out of a movie. The doors are heavy and loud and if you didn’t know that there were a hundred little kids running around inside you would think maybe I was entering some kind of castle. I like it. 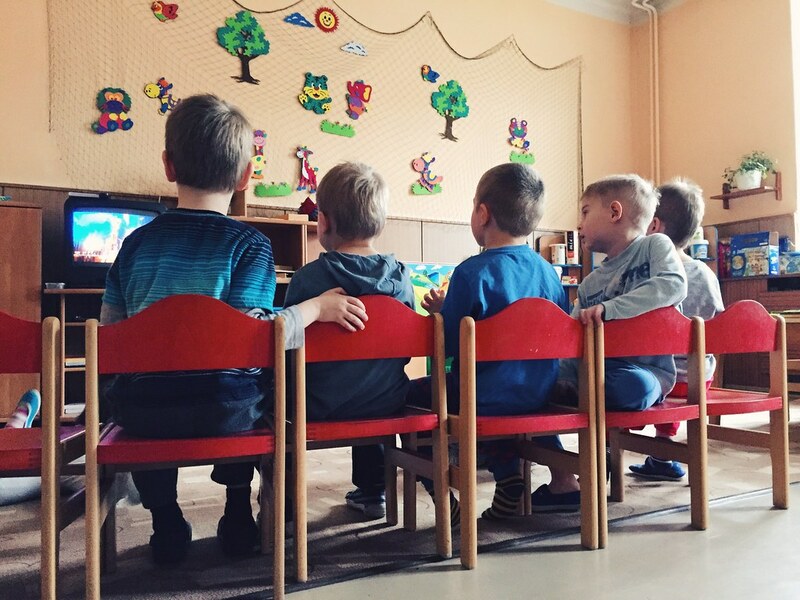 When I got to Titus’ class they had just started the Lego movie (dubbed in the Czech language). Titus was pretty excited and didn’t want to leave so I let him watch for a few minutes. Plus, it’s always a bonus to hear kids movies in Czech because the language is usually simplified and I can try following along. I also liked that Titus had his hand on his friend Denis’ chair. Also funny was that it was basically almost all the boys watching the movie while the girls were in the other room playing. 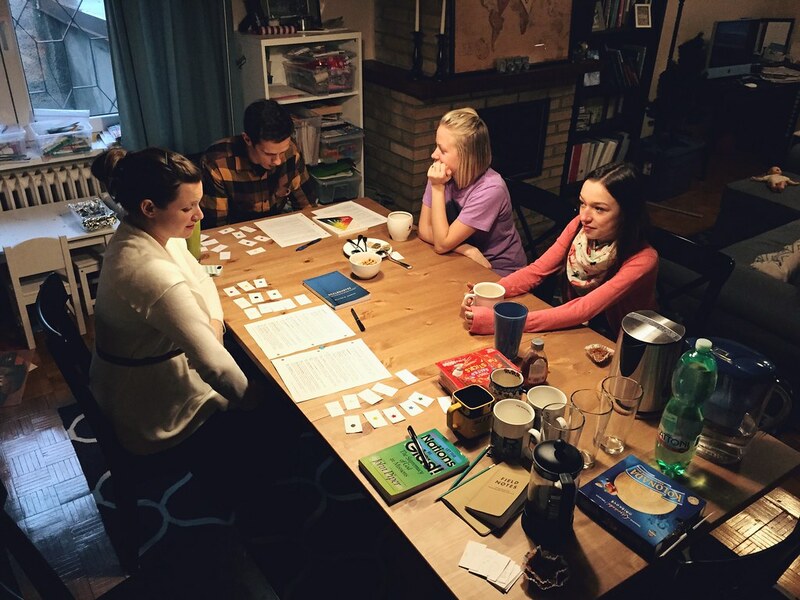 We had our biggest language study day to date and it was absolutely wonderful. Our language teacher Tamara came to our house today because she had a car available and was already running errands (normally we drive to her place about 15-20 minutes away). 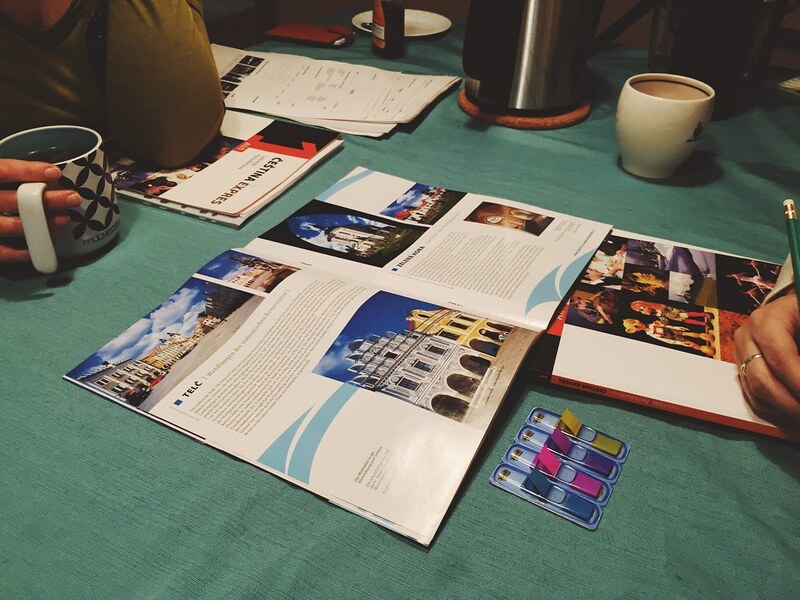 For two solid hours we worked through our Czech language textbook, and we also had a little time to review a Czech tourism book that Tamara brought us (below). What I really enjoyed about our time with her today was that Tamara will just speak Czech while we do things. For instance, while we were looking at the beautiful photos and scenery shown in the book she brought, Tamara was just simply telling us about the places all in Czech. She was speaking slowly and helping us in English along the way, but it’s an exercise of just listening and paying attention to the words you can understand while picking up new ones along the way. Oh, and by the way, this is a beautiful country. Between 2:30-4 we had a little break before our second round of Czech lessons started with Jenny and Landen. 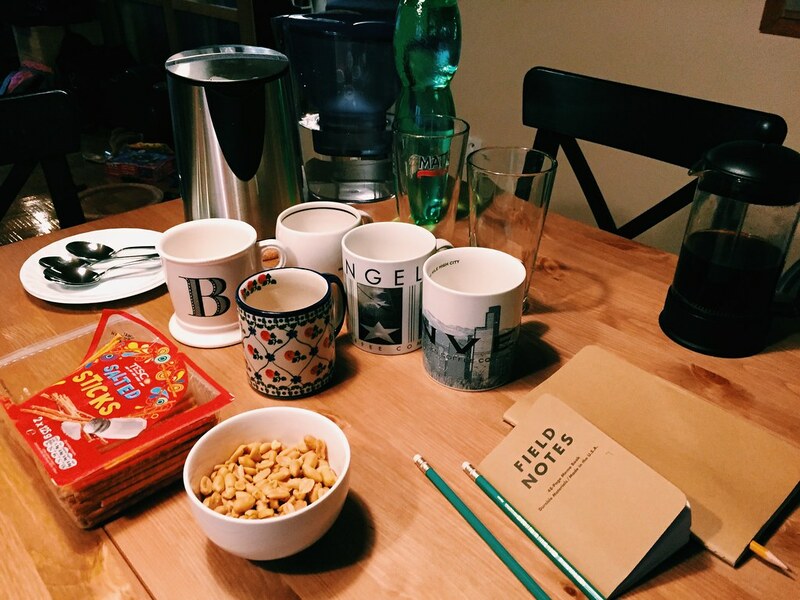 We also try to have hot water for tea and some snacks on the table (which you can see below). I took this photo today because I realized this has become the norm now and we’re well prepared to get into the Czech language! Today was kind of special because Jenny and Landen brought a young girl from our church who speaks both Czech and English (I also think she speaks Polish!). Her name is Miriam, and she became a little bit of our “Czech helper” (it’s like a teacher, only she doesn’t have to prepare) and we had fun listening to her speak and laughing at all of our mistakes. I think this was the first week we have done five straight days of language time with Jenny and Landen in the afternoon so it’s been a really fun and full week. I can already tell that with how much studying we’re doing that things are starting to click in my mind much faster. By no means are we great Czech speakers yet, but we’re definitely making progress! Here’s a photo of all of us (minus me, of course) sprawled out on the table working on our lesson. Since we had such a focused day of language, and because the kids did pretty well during all of it, we decided to take them out to eat tonight. It’s bit of a drive to find a place we can all enjoy, but it’s just nice to get out. We went to a newer mall about 20 minutes from our place and enjoy an easy dinner and just walked around a toy store together. Bethany has been talking a lot lately about how much baby #3 has been kicking and hiccuping. I believe she’s officially entered her third trimester and she’s starting to feel a little more uncomfortable. In the next month or so we have to begin to figure out which hospital Bethany will deliver at and put together a “birth plan” with a Czech speaker to try to minimize the surprises when she does go into labor. You can be praying for us as the due date gets closer and closer and as we begin to finalize our plans of having a baby in another country. 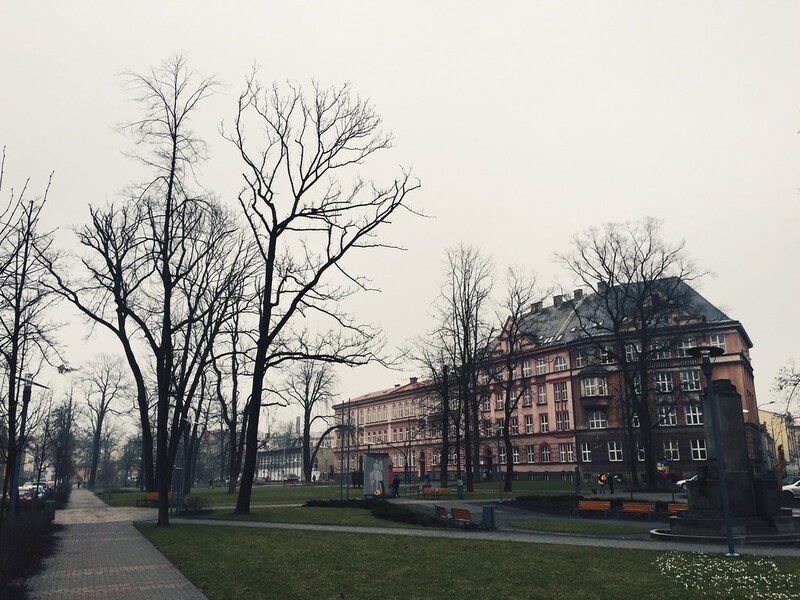 You described Czech weather perfectly! And also, love seeing preschool photos. 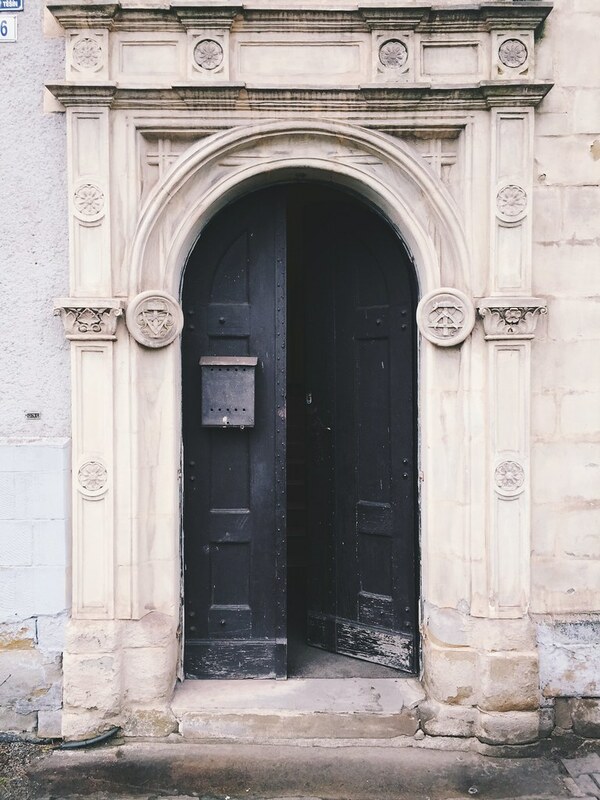 My preschool didn’t have nearly as cool of an entrance, nor did we watch many (if any) movies, but it’s fun to think back on those years in Czech. And way to go pressing on with language!